TWEETSTORM! 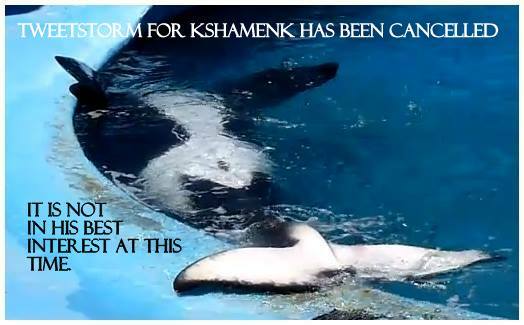 Kshamenk, The Forgotten Orca Has Been Cancelled. “Death at Seaworld,” and then most recently the release of the documentary “Blackfish” Tillikum the captive bull orca has become famous. His life from a violent capture, years of mistreatment, to Dawn’s death, brought to light how terribly this highly intelligent bull orca had suffered in captivity, turning him into a psychotic killer. Orcas are the most social animals on the planet and have emotional centers in their brains larger than man’s. Male orca stay with their mothers for a lifetime swimming hundreds of miles, in tight-knit family units. 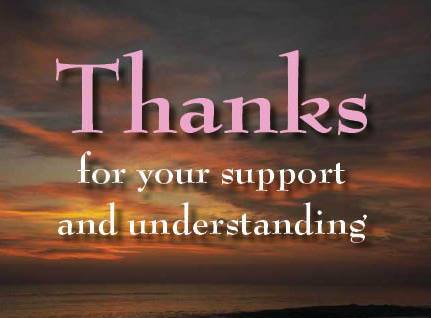 Thanks for your interest in Kshamenk and support. Thanks to “Blackfish” the public lens is now focusing on orcas, known as killer whales. While Tillikum has been in the public eye for quite some time another bull orca has not. Kshamenk, often called the forgotten orca has a heartbreaking story of sadness and betrayal. “On September 19, 1992, Kshamenk was a young 4-5 year old orca “captured” off the coast of Argentina. Officially he was found stranded, but it is believed he was forced to strand by the Mundo Marino staff“(source). Today he performs several times a day, seven days a week in small pools, with two dolphins at the Marine Park “Mundo Marino” in Argentina. In addition, he is used as a sperm donar for SeaWorld. Despite all these factors at this time new information has come to light leading us to believe that at the present time a tweetstorm is not the most effective way forward for Kshamenk. For this reason we need to cancel this event but thank you all for your wonderful support!